The Billfish Conservation Act, which was signed into law in October 2012 with the intent of prohibiting the sale of billfish or billfish products, has not yet been implemented by any regulatory agency in the U.S. The sale of Atlantic billfish has been illegal since implementation of regulations in 1988, which “recognized the traditional fishing patterns of the Atlantic billfish fishery, which for the U.S., was entirely a recreational fishery.” The implemented prohibition on commercial fishing vessels selling or retaining Atlantic marlin, sailfish or spearfish plus species minimum size limits for the recreational fishery established what was determined to be a “fair and equitable allocation” of the fishery resources. Since its passage, debate has continued over the scope of the two exemptions to the sales prohibitions contained in the Billfish Conservation Act. One provision “exempts billfish caught by U.S. fishing vessels and landed in Hawaii or Pacific Insular Areas (PIA) from the general prohibitions on sale and custody with the intent to sell.” This has raised the question whether that exemption still allows billfish caught by U.S. vessels and landed in Hawaii or the PIA to be sold there and also to be shipped into the continental U.S. and sold. A second exemption to the sales prohibition applies to billfish landed by foreign fishing vessels in the Pacific Insular Areas if those billfish are exported to non-U.S. markets or are retained within Hawaii and the Pacific Insular Areas for local consumption. The billfish retained for local consumption are exempt from the sales prohibition, thus they can be sold in local markets of Hawaii or PIA or they can be exported and sold to any non-U.S. market. Four years after passage of the Billfish Conservation Act an attempt is underway on Capitol Hill, in Senate Bill 3099, to amend its language by inserting words into the first sales prohibition exemption that would require billfish caught by U.S. vessels and landed in Hawaii or Pacific Insular Areas (PIA) to be retained in those areas for local consumption, meaning they can only be sold locally. The amendment is being offered “in an effort to adhere to “Congressional intent” exercised at the time the law was passed. 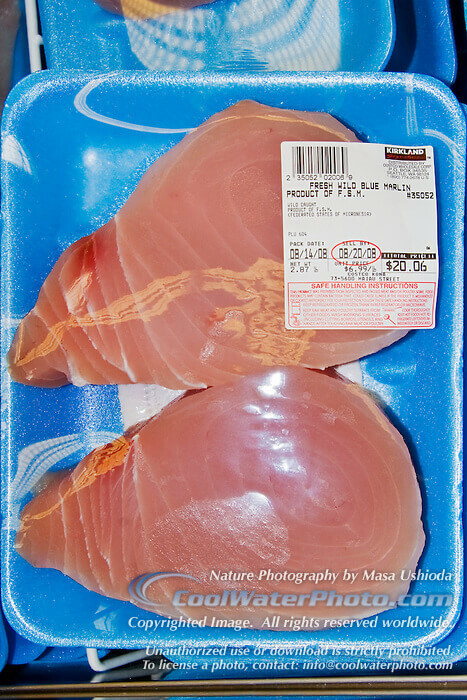 The hope is to establish clearly a prohibition on the sale of U.S. caught marlin, sailfish and spearfish in U.S. markets outside Hawaii and the PIA, and clarify that the exemptions apply to “traditional fisheries” and in a way that will not create new markets for billfish. Determining what was the “Congressional intent” in 2012 at a time when the late Senator Daniel Inouye, a strong supporter of commercial fisheries, participated in the passage of the BCA, will likely generate more debate before a resolution is secured. 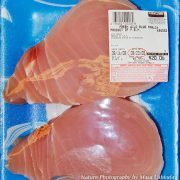 If the Act is amended as planned currently, the law would be strengthened to explicitly prohibit the sale of marlin, sailfish and spearfish in the continental U.S. and U.S. non-state entities, other than Hawaii and the Pacific Insular Areas where it could be sold, if landed by U.S. vessels. That would be a positive step. Concern is raised if no change is made to the text currently in the law that allow exports of billfish landed by foreign vessels in Hawaii or PIA to be sold there or exported into any non-U.S. market for sale. Continuing to allow exports to non-U.S. markets of billfish landed by foreign vessels within Hawaii or the PIA raises the concern of an unfair advantage for other nations that ultimately would not reduce billfish landings.